Richard Irwin (Belper, United Kingdom) on 19 March 2009 in Plant & Nature. 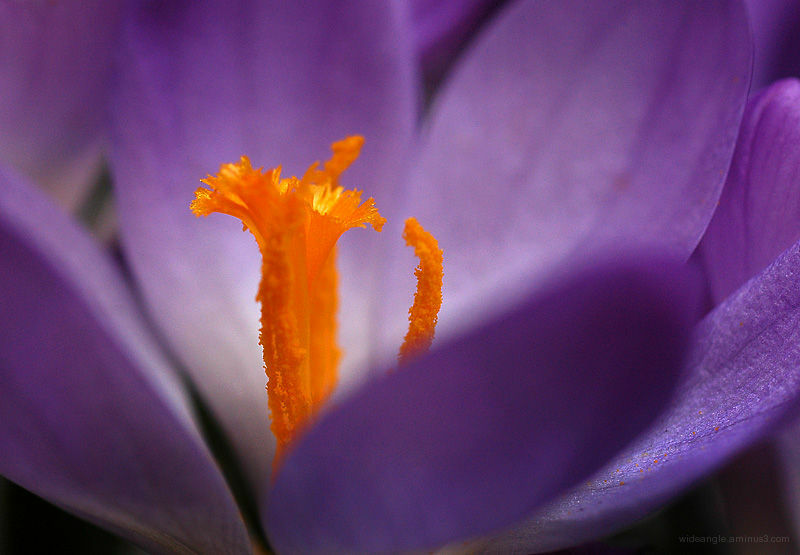 Continuing a couple more of the Crocus flower images, all were taken using a 50mm macro lens that goes to a 1:1 ratio. Another nice photo. This one is very well framed. Macro's are the best fun. Love this shot, awesome colours and very nicely framed. Amazing. I love the colors in this image. Great close up, love the composition and details. It´s all been said already,"great macro" !! A splendid macro Richard ! That is about as close to a natural "Cheeto" as it gets! Well done Richard! This series is simply marvelous. Whoa...the detail and clarity are excellent, that purple is amazing! WOW Excellent macro. Stunning work Richard! wow ! that all serie of crocu is just fantastic ! the colours are mindblowing !! Amazing macro, the colors rock.